In support to scientists wishing to enter the Materials Science and Engineering Data Challenge, co-organized by the Air Force Research Lab in partnership with the National Science Foundation and the National Institute for Standards and Technology, Materials Today has partnered with HPCC Systems, to provide up to 3 packages for training and computation time on their High Performance Computing Cluster. Materials Today now invites researchers with a need for high intensity computation time to propose projects that fit within the scope of the Grand Challenge: one page entries may be uploaded via the form below. In addition, we will invite authors of a selection of entries to turn their final submissions into journal articles, and considered for publication in Materials Discovery. The materials data used in the challenge must be publicly accessible & discoverable on the internet by 1 Sep 2015. Those who wish to make data accessible can do so on the NIST Materials Data Repository. 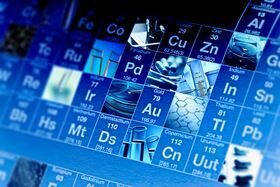 Applications will be judged on the novelty and significance of the approach, as well as on the demonstration that it has produced a valid solution to an open problem in materials science and engineering. To upload your one page project proposals, log in with your Materials Today member account below. HPCC Systems® (www.hpccsystems.com) from LexisNexis® Risk Solutions offers a proven, data-intensive supercomputing platform, designed for the enterprise, to process and solve Big Data analytical problems. As an alternative to legacy technology, HPCC Systems offers a consistent data-centric programming language, two processing platforms and a single, complete end-to-end architecture for efficient processing. LexisNexis Risk Solutions and HPCC Systems are part of RELX Group plc, a world-leading provider of information solutions for professional customers across industries. In support of the Grand Challenge, LexisNexis will provide access to HPCC Systems and online training resources. Become a Materials Today member today and get full access to this news. Log in to your Materials Today account to access this news. Computational modelling with a supercomputer has revealed how different solidification speeds alter the microstructure of a novel alloy.